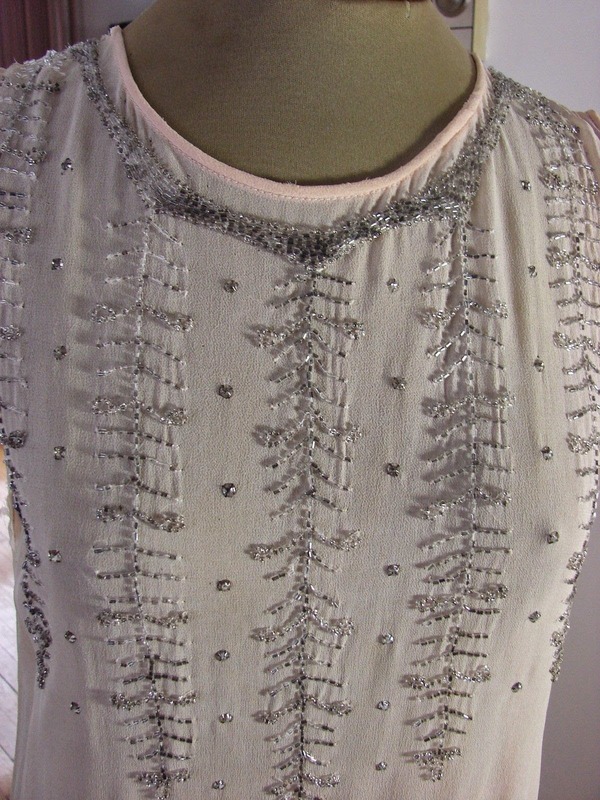 Authentic 1920s flapper dress. 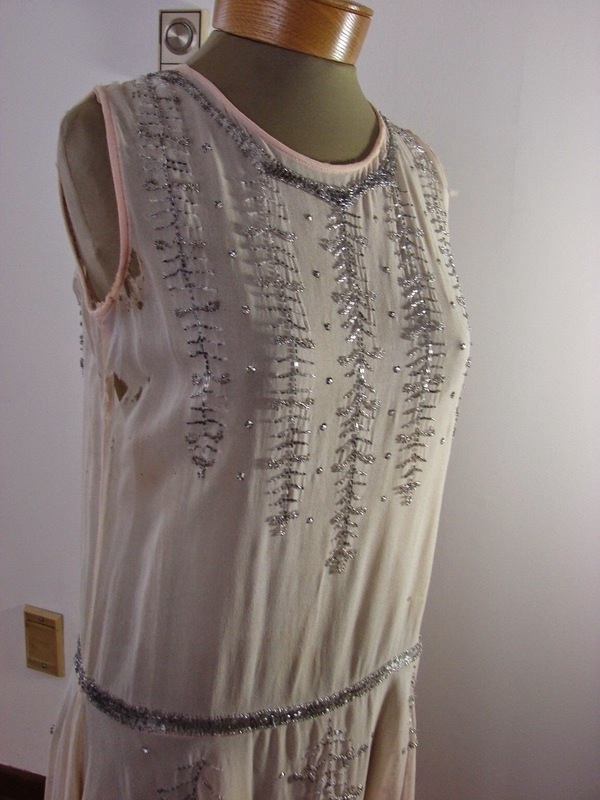 Made of chiffon in a pale pink color it features a low waist marked by a beaded band and bias skirt. 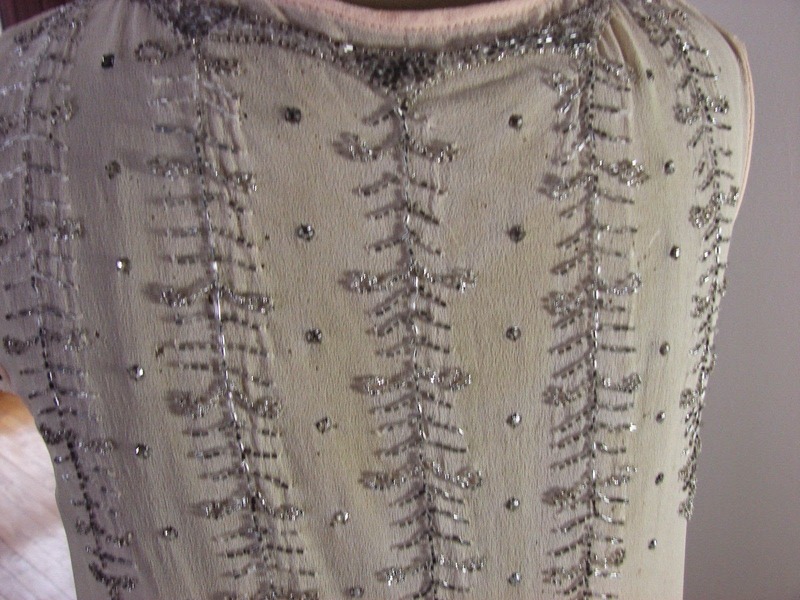 Closes on a side with snaps. 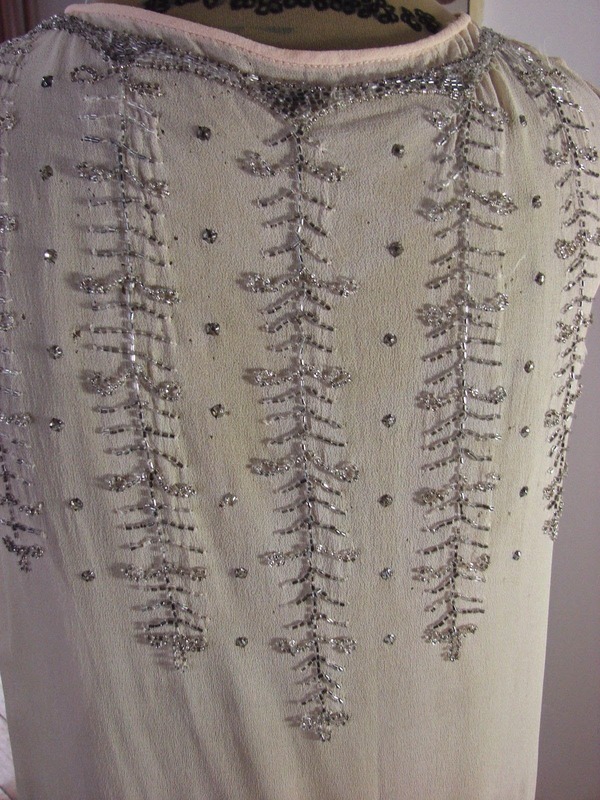 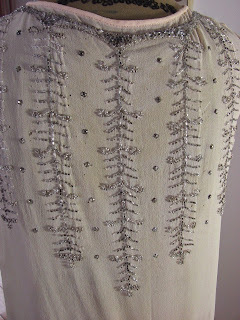 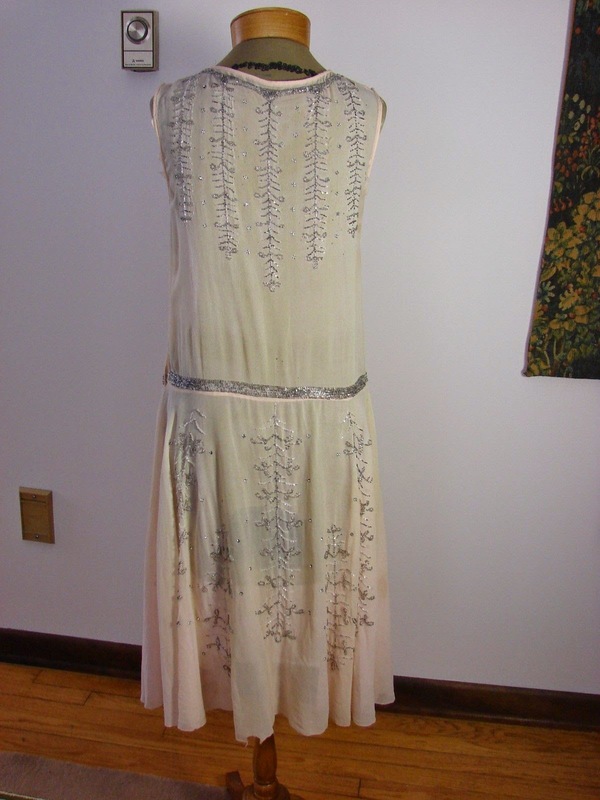 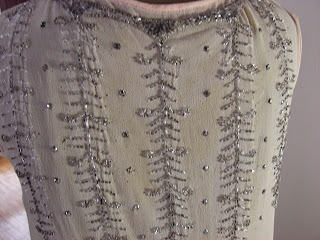 The dress is adorned with many rows of silver beads and rhinestones. 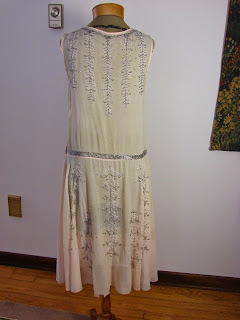 Identical design front and back. This has a neat beading pattern - almost like branches. 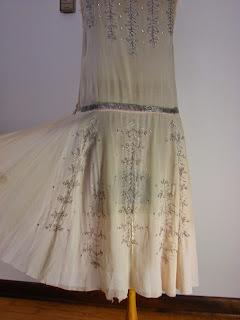 The skirt is pretty full for a 1920's dress as well. 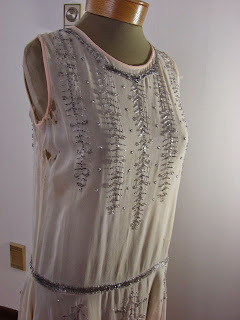 It would look awesome while doing the jitterbug! 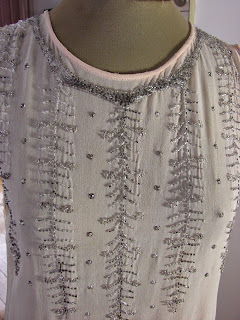 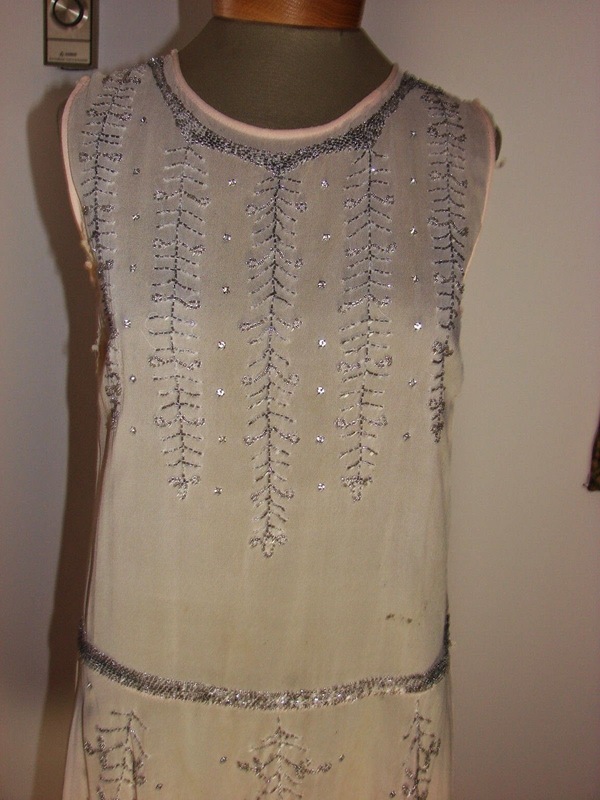 1920's dresses seem to have some the most awesome beading.